Sorry I've been a bum with updating the blog recently. Maybe that means that I've been busying doing blog-worthy things? At least that's what I tell myself. Anywho, back on the cafe trail. 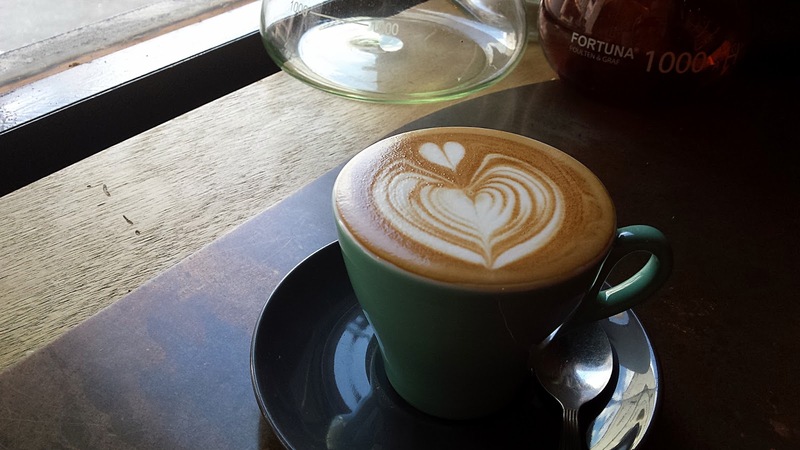 As I've said previously, the area around Duxton and Tanjong Pagar here in Singapore is full of stylish, cozy cafes that really do a quality job making their coffee. Another addition to that list is the Department of Caffeine. Besides their catchy name, they make flavorful coffee and some of the best waffles that I've had in the country. The cafe is quite easy to miss, as I strolled by twice until I finally noticed the small entrance. As you can see in the picture above, space is at a premium. 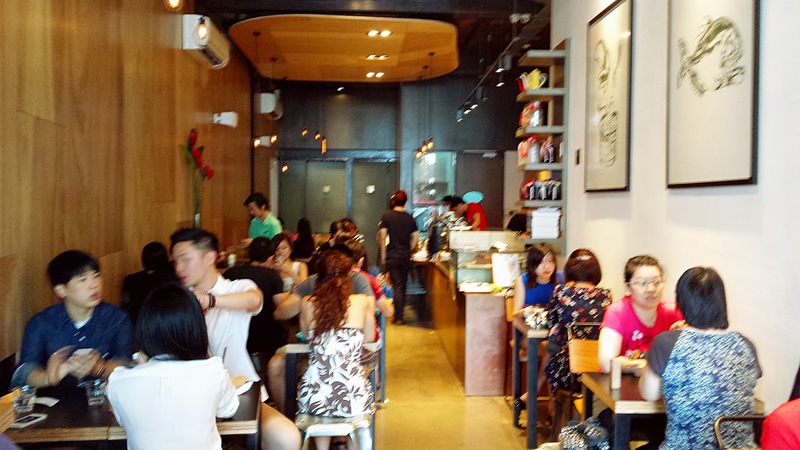 With its growing popularity, the cafe usually seats a full house. I started out my brunch with a regular cappuccino: strong flavor, with not too much milk diluting the taste. The latte art was quite classy too. Their crowning achievement, without a doubt, is their buttermilk pancakes. Toasted to a light crisp and served with a generous scoop of New Zealand vanilla ice cream, they were incredibly tasty and not too heavy. 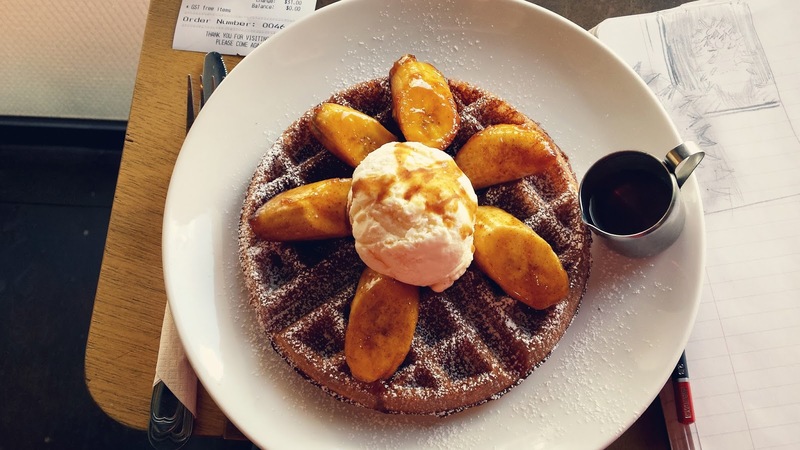 I ordered the waffles with butter rum bananas, which served as a nice compliment to the ice cream. 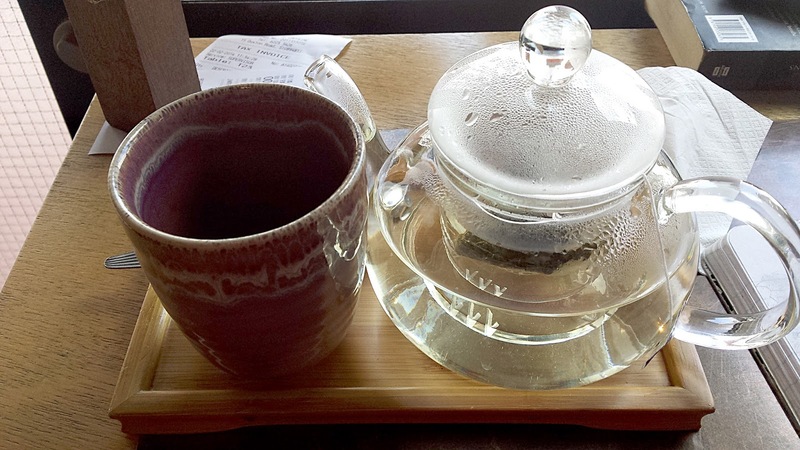 I finished off the meal with a piping hot pot of lemongrass & jasmine tea (S$7). Very refreshing with a bit of a bite towards the end of each sip. I would certainly recommend the Department of Caffeine to anyone looking for a brunch spot. However, reservations are definitely recommended for any groups of people, aka 2 or more. I visited on a Saturday, and almost all of the seats were booked ahead of time, with only a select few window seats available for walk-ins.